If you're looking for charting software then you have come to the right place. New MetaStock XVI is here! It's Time to Trade! 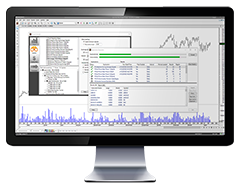 We have discounts on charting software including a great offer from MetaStock. This offer is for a 1 month free trial of their award-winning new software MetaStock XVI with no obligation to buy. MetaStock has been providing award-winning analysis tools for the self-directed trader for more than 30 years. Their line of professional-level charting software and market data are designed for active traders of all levels. There are options for day traders, swing traders and EOD traders to trade stocks, options, futures, FOREX and more. Please click on Charting Software for all the latest offers.